Posted August 18th, 2011 by Meg & filed under beekeeping. If you end up coming to any of the beekeeping get-togethers and events this summer and fall, you might get the chance to meet this fellow! Michael Leung, a beekeeper in Hong Kong and founder of HK Honey will be spending time in our fair city, exploring and palling around with our European honeybees and the beekeepers that oversee them. I was fortunate enough to meet and hang out with him last night after the Union Square Greenmarket event thanks to my good buddy Chase from Brooklyn Grange. 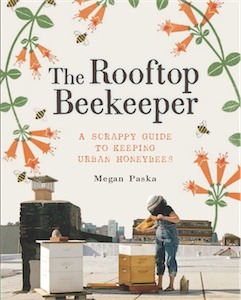 I’m really excited to compare urban beekeeping notes with this guy! He’ll be at our Backwards Beekeeping meeting tonight so come on by! Check out this beautiful video featuring Michael and his lovely Asiatic honeybees. Nokia – HK Honey from The Silentlights on Vimeo.